Do you know someone living with dementia who would like to join us, with their carer, on a short walk to discover the beautiful landscape, wildlife and culture of the area? 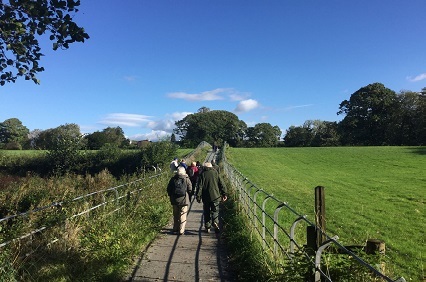 The AONB Partnership is launching a new series of weekly guided walks aimed at people living with dementia to help them retain a sense of adventure by getting outdoors and connecting with nature and their community in a safe and secure environment. The first walk will be on Tuesday 23rd April, setting off from the Albion, Arnside at 10am. The walk will last no more than an hour and afterwards there will be a chance to relax over a chat and a cuppa. There is no need to book – just turn up!